Some albums reach for the sky, full of ambitions, aimed at becoming part of the pop pantheon where only the greatest albums can arrive. Big Shadows Of Small Things is such an album. The music reminds me of all the greats I loved or used to love circa 40 years ago and some. The great bands and artists of the 70s are brought to mind not just a little. Bertolf lays the bar extremely high for himself. Will it crash while trying to jump it? In 2016 Bertolf gathered a few musicians around himself, called themselves Her Majesty and played in tribute to Crosby, Stills, Nash & Young. Diederik Nomden, now famous as an The Analogues member, is part of that band and can be heard on this album. Just like Jelle Paulusma (ex-Daryll-Ann) with who he co-wrote three songs on Big Shadows Of Small Things. Despite having played the album regularly over the past weeks, I have not managed to warm myself to it. Bertolf taps for inspiration many singer-songwriters of the 70s and later who you do not find among my absolute favourites. So more David Crosby and Graham Nash than Neil Young, more The Moody Blues than The Beatles, more Midlake than Supergrass, more Elliot Smith than The Walkabouts. Just to name a few. In this way Bertolf can be compared to The Maureens or Maggie Brown. Artists and bands that simply are more exuberant and upbeat in a melodic way. His voice is one of the reasons, I suspect, as it is not a happy voice. Contemplation is the word I'd like to describe it with. Paul McCartney certainly sings in this way, but also, as one of his many tones of voice. Having said that, on Big Shadows Of Small Things there's a lot to enjoy. 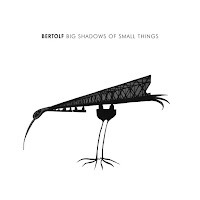 Bertolf shows on his new album he is quite capable of writing fine songs that are able to distinguish themselves from bland mediocrity. Bertolf is not afraid to make is personal heroes enter his music, without surrendering himself to pastiches of copying. His songs stand out in several ways. In all the genres he tries out. You may be surprised here as well. At first I did not want to write about Big Shadows Of Small Things, because I was afraid it would only be negative. As this is no longer the case, I started typing. This album is full of little gems to explore. People with an ear for high quality pop music should certainly give this album a try. 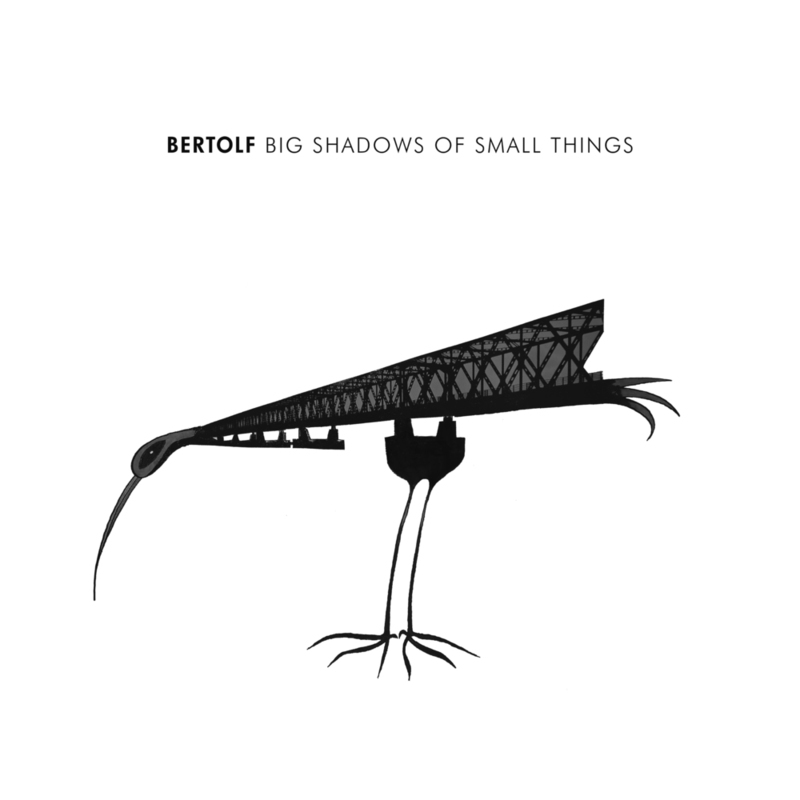 They will find that Bertolf has written, played and arranged twelve songs with a keen ear for melodies and harmonies. A song like 'Hills' combines the best of Ron Sexsmith (verses) with Midlake (chorus) and Elliot Smith (violins, guitar solo and all-over mood), all in one. It is moments like these I realise a master is at work. Soft, delicate and totally true. Someone who gets away with a feat like this, is good. It took me several listening sessions to realise things like this are going on on Big Shadows Of Small Things. It is the small things I had to notice, before I could start to appreciate the album. Now its your turn to try.